Proud mother Pina Pettinicchio with Vincent. Vincent Pettinicchio may be small but he knows how to make a big difference. 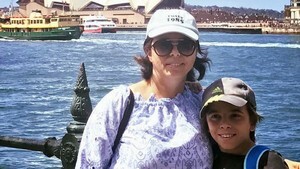 When the Perth schoolboy was just seven years old he came up with a plan to help homeless people by giving them a package filled with toiletries, blankets and other essentials. He had no idea how huge “Vincent’s Project for the Homeless” would become. Now, five years on, the project has turned into a mass operation that has given away more than 4,000 care packs worth more than $270,000. Mrs Pettinicchio said while each year her son’s project had grown beyond expectations, this year had been a bit more of a struggle because Vincent had fallen ill with chronic fatigue syndrome. “We are a little bit behind with the fundraising because Vincent has been unwell. Normally he goes out every weekend and fundraises but this year he just hasn’t been able to do it as much,” she said.